Objective: To determine the feasibility and potential impact of a non-pharmacologic multidisciplinary intervention for reducing hospital readmissions in elderly patients with congestive heart failure. Design: Prospective, randomized clinical trial, with 2:1 assignment to the study intervention or usual care. Setting: 550-bed secondary and tertiary care university teaching hospital. Patients and participants: 98 patients ≥70 years of age (mean 79±6 years) admitted with documented congestive heart failure. Interventions: Comprehensive multidisciplinary treatment strategy consisting of intensive teaching by a geriatric cardiac nurse, a detailed review of medications by a geriatric cardiologist with specific recommendations designed to improve medication compliance and reduce side effects, early consultation with social services to facilitate discharge planning, dietary teaching by a hospital dietician, and close follow-up after discharge by home care and the study team. Measurements and main results: All patients were followed for 90 days after initial hospital discharge. The primary study endpoints were rehospitalization within the 90-day interval and the cumulative number of days hospitalized during follow-up. The 90-day readmission rate was 33.3% (21.7%–44.9%) for the patients receiving the study intervention (n=63) compared with 45.7% (29.2–62.2%) for the control patients (n=35). The mean number of days hospitalized was 4.3±1.1 (2.1–6.5) for the treated patients vs. 5.7±2.0 (1.8–9.6) for the usual-care patients. In a prospectively defined subgroup of patients at intermediate risk for readmission (n=61), readmissions were reduced by 42.2% (from 47.6% to 27.5%; p=0.10), and the average number of hospital days during follow-up decreased from 6.7±32 days to 3.2±1.2 days (p=NS). 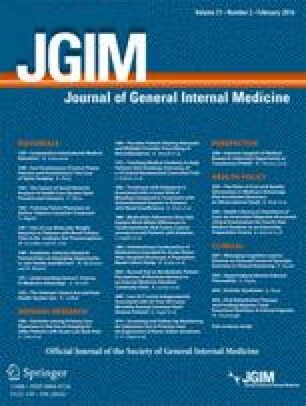 Conclusions: These pilot data suggest that a comprehensive, multidisciplinary approach to reducing repetitive hospitalizations in elderly patients with congestive heart failure may lead to a reduction in readmissions and hospital days, particularly in patients at moderate risk for early rehospitalization. Further evaluation of this treatment strategy, including an assessment of the cost-effectiveness, is warranted. Received from the Geriatric Cardiology Section, Division of Cardiology, Jewish Hospital at Washington University Medical Center, St. Louis, Missouri. Presented in part at the 47th Annual Scientific Meeting of the American Geriatrics Society, May 18, 1990, Atlanta, Georgia. Supported by a Community Research Grant-in-Aid from the American Heart Association, Missouri Affiliate.